Its something we have been thinking about doing for a while due to client demand for online material and video. 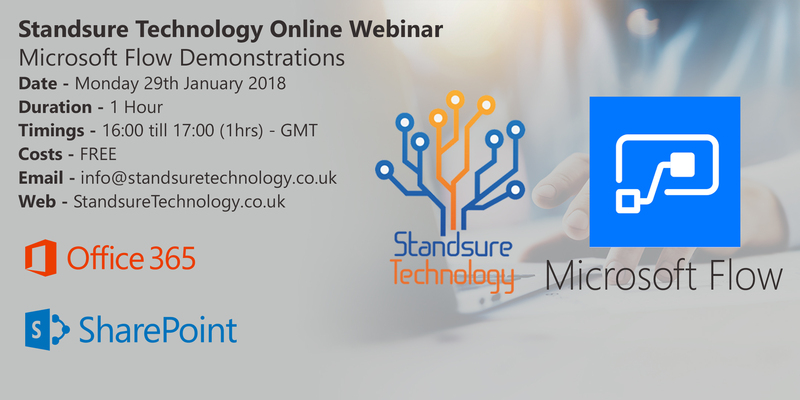 So we are going to start of 2018 with out first Free 1 hour Training Webinar looking at some of the functionality that Microsoft Flow has to offer. This will be focused on SharePoint integration so we will provide a few demonstrations on a few Actions and Conditions you can take advantage of. 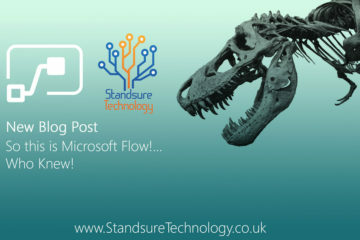 We will be covering during this webinar the new SharePoint Approval Processes, Managing Social Media Posts from SharePoint and getting Microsoft Form data back into SharePoint. 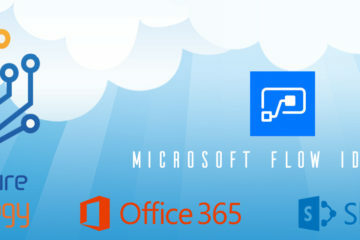 Depending on time remaining we may also ask for any suggestions prior to the webinar of Microsoft Flows you might be required to build and we can maybe look at presenting this solution during the webinar. We will also be looking to provide more videos and content throughout 2018 with at least 1 or 2 live webinars a months along with SharePoint Training Clips on our Youtube Channel which we will announce shortly.